The kids awaken cheerfully to get ready for the day (and never miss doing their morning chores). Everyone would peacefully sit down at the dinner table, cordially pass dishes, while chatting about their day. 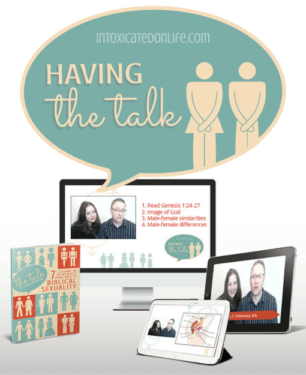 Devotions would be easy and the kids—peaceful and engaged. But somewhere between my dreams of having children and the reality of life-with-5-crazy-boys, my definition of what a “good mom” underwent an overhaul. My dreams looked something like a Normal Rockwell painting. My reality…it often looks much more like the Simpsons. Today I will not should on myself. She didn’t want to live under a constant weight of self-condemnation of what she expected of herself or what others expected her to be. In general that’s good advice. The gospel doesn’t release us from “shoulds” and “oughts.” It releases us from the gnawing guilt of sin, and frees us from the iron grip of sin. The gospel can actually make us better mommies—though, maybe not in the Norman Rockwell sense. In the quest for a God-centered family life, our standard of success needs to be calibrated to something actually achievable in a fallen world. 1. Family devotions may be messy, but she strives for consistency anyway. Why look! It’s Princess Pristinia and her always smiling daughter Glitter Sparkles! You might know this mother-daughter duo from the world of stock photography. …kids are squirrelly, distracted, and temperamental—a world where mom is fighting to stay awake because the baby was up all night. There are days you really want to get up to grab that children’s Bible. But the bookshelf looks far too far away to your deliriously exhausted body, so you settle for the Bible app on your phone. 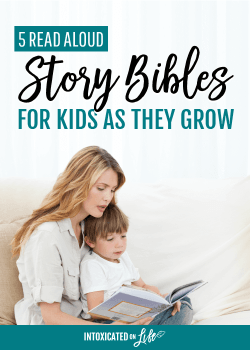 More than anything, a wise Christian mom isn’t striving for perfection when it comes to teaching her kiddos the Scriptures—she’s striving for consistency. 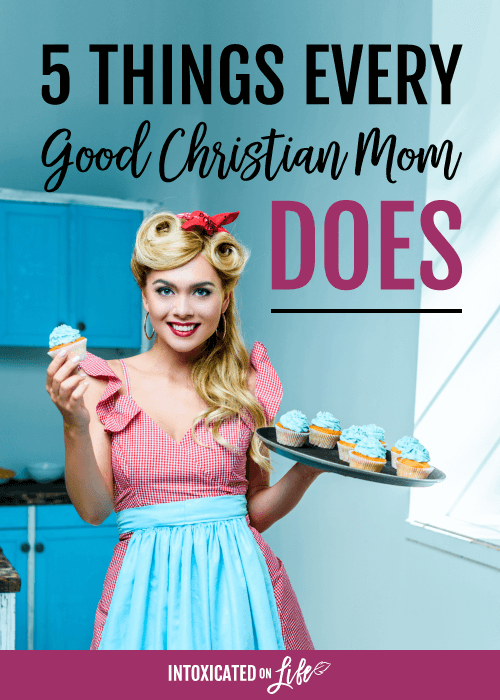 She knows a godly woman “opens her mouth with wisdom, and the teaching of kindness is on her tongue” (Proverbs 31:26), so she strives to make this a habit in her home—no matter how sloppy it looks from day to day. 2. She’s tired—but tireless to train. Did you know a recent study found more than half of women who have children at home don’t get enough sleep at night? I know what you’re thinking, too: the other half must have been too exhausted during the study to give them accurate information. Interestingly, for each kid you have in the house, your risk of getting insufficient sleep increases by 46%. According to that estimate, I should probably be dead by now. Needless to say, if you’re tired, you’re not alone. If overseeing the daily chores of laundry, dishes, and food prep aren’t enough, there are all the activities kids are engaged in—not to mention the sleep we lose over our kids’ heartaches and pains. Perhaps there’s a hidden story in the Proverbs 31 Woman—a lady whose “lamp does not go out at night” (v.18) and yet she “rises while it is yet night” (v.15). Exactly when does this woman sleep, anyway? Perhaps this is God’s way of saying sleeplessness is more or less part of the job. And yet a wise Christian woman knows she shouldn’t tire herself by simply doing everything herself. She needs help—and more specifically, she needs to give her kids the opportunity to help her. 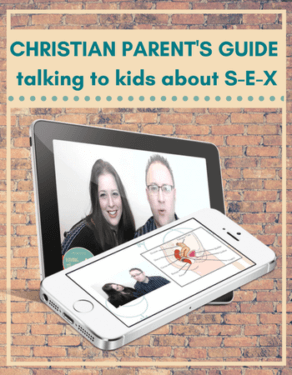 Wise Christian moms know the goal is to train kids towards independence and making meaningful contributions to the household. So she has a plan in place to do that. Training kids doesn’t happen haphazardly. It takes time, thought, and especially intentionality. But the payoff means a (relatively) well-managed home and more responsible kids—even if it doesn’t mean getting more sleep. 3. She might feel “mommy guilt” but she takes it in stride. An Irish Catholic novelist once described her “long iceberg of guilt”—this is truly an apt description for what mommies face. Pinterest tells us our house is too messy and our food too unhealthy. Schools and co-ops tell us our kids aren’t excelling enough. 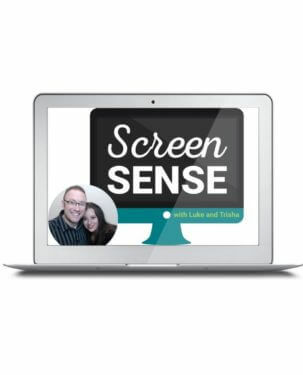 Psychologists tell us our kids get way too much screen time. (Certain) Christian subcultures tell us we work too much outside the home. Christian bloggers (*ahem*) add to our plate a long list of “quick tips” that make life work, and yet we never get around to implementing them. Our own brains tell us our fuse is too short and our yelling too frequent. The verdict? We simply aren’t good enough. Guilt is a fairly common (and natural) human experience. Mommy guilt exists because maternal responsibility exists: we naturally desire the best for kids, and we know we can’t give it to them. The answer to gnawing guilt is to simply listen: to our conscience and to God. Conscience is our moral muscle: it’s a God-given capacity to recognize right and wrong (Romans 2:15). Contrary to what the gurus of modern psychology might say, when our conscience is speaking, it’s nearly always a good idea to stop for a moment and listen to it. It’s a God-given internal alarm system that maybe there’s something to improve. But like any muscle, conscience can be misused. First, guilt is not an end in itself: it needs to lead somewhere. Some stop at guilt and just feel bad for themselves. 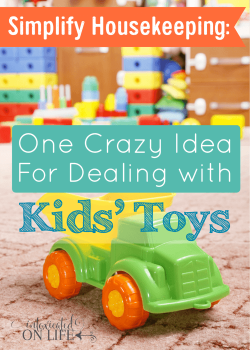 If we think we are utter failures as moms, the least we can do is beat ourselves up about it. We crawl up on our own self-made cross and nail ourselves to it, and it feels strangely good—because, hey, at least we’re doing something, right? No, mama. It’s not. Last I checked, there was only one person good enough to get beaten and bloodied for your sins, and it isn’t you. And because of Him, despite your failures, you are accepted and loved. Second, false guilt is a real thing. If guilt is a sense of failure before a standard, then false guilt comes from a false standard. Our standard is not Pinterest, not Facebook, not the moms in our co-op or MOPS group—our standard is Scripture. 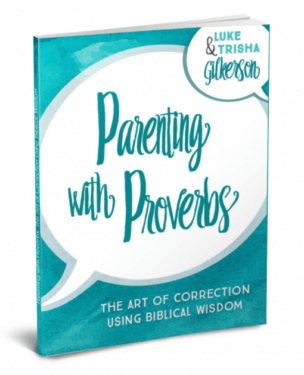 Wise moms know how to take guilt in stride because they’ve developed habits and disciplines of taking their guilt to God. And by abiding in Christ, guilt is no longer a crippling thing, but something that shoves them in the right direction. 4. She’s busy (sometimes too busy) but she knows the secret to making each day count. 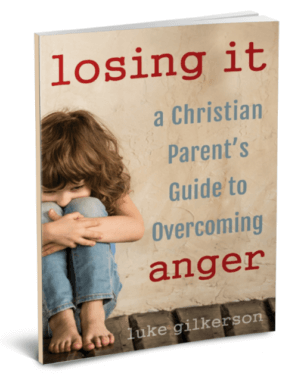 When we look at the monumental task of raising children, often it feels like the solution is being less busy—if we just had less to do in life, we could spend all kinds of time teaching our kids, shaping our kids, and even (*gasp*) enjoying our kids. When it feels like all we do is go around putting out fires, we just don’t know how to find the time to be proactive. To be sure, there’s definitely something to be said for saying “no” to good things so we can say “yes” to the best things. It’s always a good idea to take stock of the 24 hours we have each day and use those hours wisely. But the solution is not bemoaning our lack of free time. The Proverbs 31 Woman wasn’t exactly known for her abundant leisure time. The “bread of idleness” was not part of her daily diet (Prov. 31:27). She was a productive working mom. Throughout her life she worked as a seamstress, a real estate investor, and a vineyard manager—and yet she still connected with her children. By being intentional about bonding with them in the routine activities of life we find all kinds of time to teach, train, and even enjoy our kids. 5. Her children can be unnerving, but she knows the secret to peace. Let me tell you, Stock Photo Mom really has it all put together. …try as we might to build buffer time into our day, it still feels like the inmates are running the prison. Schedules get tangled. Kids get moody. Personalities clash. And by the time you get to dinner time, it feels like a win if everyone is fed and no blood was drawn. But wise moms know the secret to peace is not necessarily peaceful surroundings or well-mannered children. The Proverbs 31 Woman puts on “strength and dignity” so “she laughs at the time to come” (v.25). 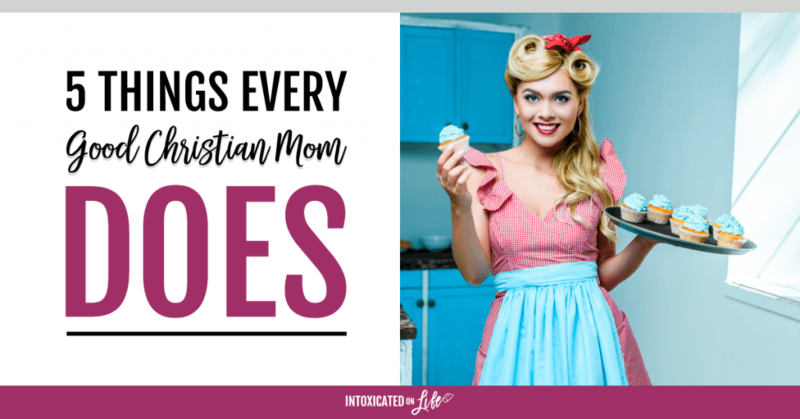 The secret to her buoyant spirit is that she expects life will get hard—she isn’t thrown for a loop when kids get difficult—and she ultimately trusts the God who made her a mother in the first place. She knows she simply needs to use the tools God gave her, and trust Him with the results. What do all these things have in common? They are driven by tiny habits. 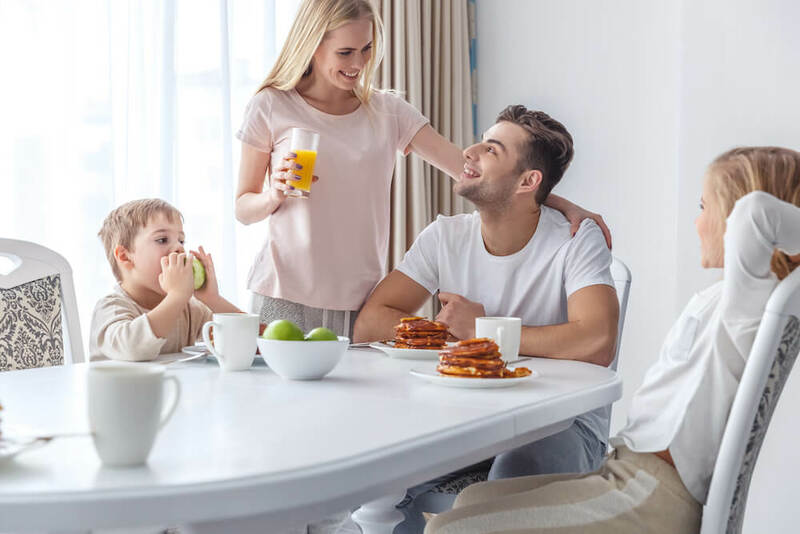 There are some foundational habits every family needs that can really transform the culture of your home so you can connect more meaningfully with your kids and train them in the ways of the Lord. Sharing at The Modest Mom Blog, Create With Joy, Pam’s Party & Practical Tips, and Crafty Moms Share. This is TRUTH. I think there’s one more thing wise moms so: start over. I have fallen again and again in different areas, but I know I have to “consistently” get back up and try again. And again. And again. Thanks so much for this perspective!